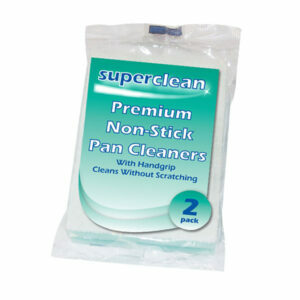 Our Superclean range has been developed with the retailer in mind. Great for the supermarket or convenience retailer. The range offers good quality products, well packaged in conveniently sized outers. 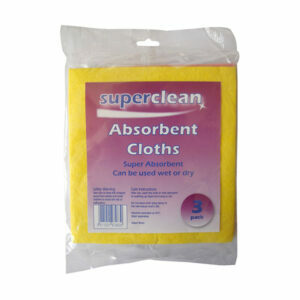 A highly absorbent and versatile cloth that can be used wet or dry for washing up, wiping down and mopping spills. 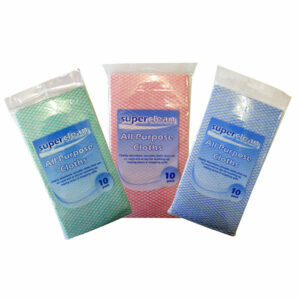 Supplied in attractive flow wrap film with euroslot which enables the retailer to display the product with ease. 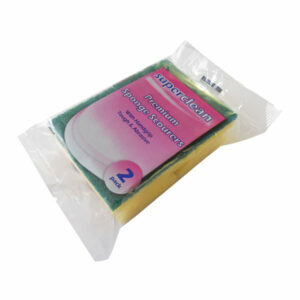 Excellent quality sponge scourer with anti scratch scrim which can be used on non-stick surfaces. Ideal for washing dishes and pans. 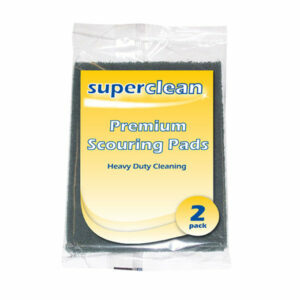 The scourer has been designed to provide optimum comfort for the user and is ergonomically shaped with a handgrip. Ideal for tough cleaning tasks. Supplied in attractive printed packaging. Do not use on non-stick cookware or delicate surfaces. 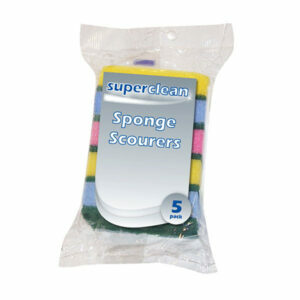 Excellent quality sponge scourer used for washing dishes and pans. 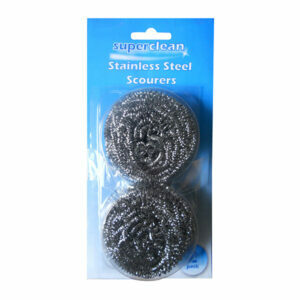 Do not use abrasive scourer on delicate surfaces. 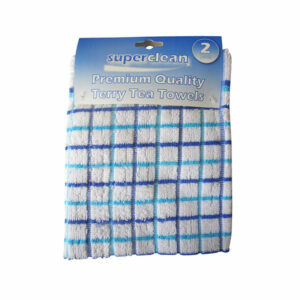 This excellent quality dishcloth is absorbent and durable. Manufactured in our UK factory and also supplied in attractive flow wrap packaging with euro slot to allow the retailer to display with ease. 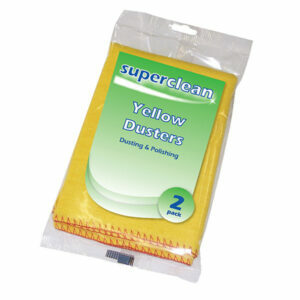 Used for cleaning and polishing surfaces. supplied in an attractive printed film complete with euroslot for improved display. 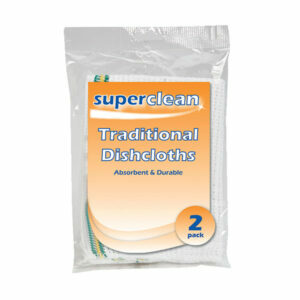 Soft, super absorbent and durable these cloths are perfect for general household cleaning task. Absorbent and durable this excellent quality tea towel is ideal for drying dishes in a domestic household. The tea towels are supplied with an attractive header card complete with euroslot to allow the retailer to display the product with ease.